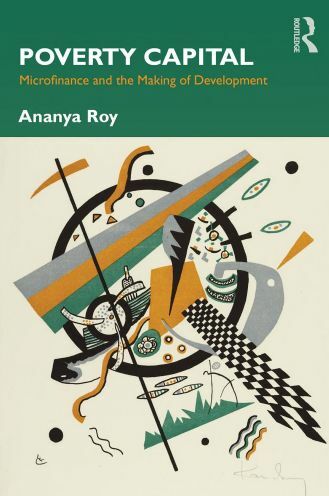 Ananya Roy, "Poverty Capital: Microfinance and the Making of Development"
This is a book about poverty but it does not study the poor and the powerless. Instead it studies those who manage poverty. It sheds light on how powerful institutions control "capital," or circuits of profit and investment, as well as "truth," or authoritative knowledge about poverty. Such dominant practices are challenged by alternative paradigms of development, and the book details these as well. Using the case of microfinance, the book participates in a set of fierce debates about development – from the role of markets to the secrets of successful pro-poor institutions. Based on many years of research in Washington D.C., Bangladesh, and the Middle East, Poverty Capital also grows out of the author's undergraduate teaching to thousands of students on the subject of global poverty and inequality.